It is estimated that 1,235 villages in 266 districts in Central Java will face water shortages as a result of drought. The province’s Disaster Mitigation Agency (BPBD) has supplied clean water to 10 regencies since July. 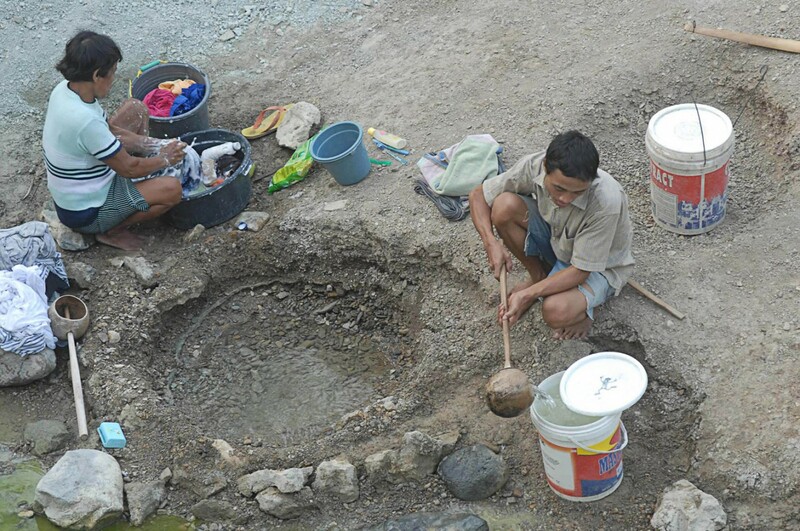 “Drought and a clean-water crisis have affected half of the areas across Central Java. We have supplied clean water to 46 villages, 22 districts and 10 regencies in the province. These include Blora, Boloyali, Klaten and Wonogiri,” said BPBD Central Java acting chairman Sarwa Pramana on Friday. He further said it was predicted that this year’s drought in Central Java would affect around 1.4 million people in areas that frequently suffer water shortages during the dry season. “We have not yet reached the peak of the dry season as rain is still falling in a number of areas. According to the Meteorology, Climatology and Geophysics Agency [BMKG], the peak of the dry season will be in October. The BPBD mapped out drought-affected areas in July to take anticipatory measures,” said Sarwa. He further said the agency had called on all regions to remain on alert and get prepared to issue an emergency alert status. The alert-status announcement was needed for the disbursement of funds to tackle the impacts of drought such as clean-water shortages and forest fires.